"OMAH is a vibrant and welcoming place for people of all ages to gather, learn, and create. As a family, we will continue to take advantage of all that OMAH has to offer as we learn about local art and history. " "One really needs to slow down and think to appreciate art. OMAH is on it - educating docents so that they can better share information with visitors. 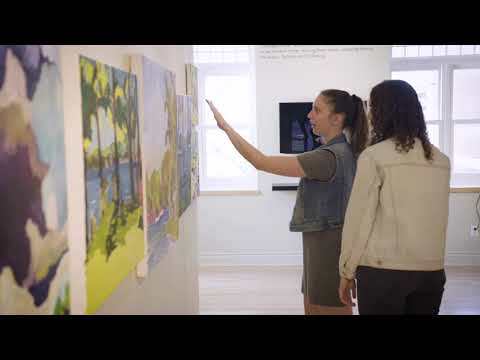 Local history exhibitions bring visitors who are, have been or want to be Orillians, melding art and history effectively in an engaging way. " " "The staff are both diligent in preparing new exhibits, and very creative in finding relevant themes that are of interest to the local community as well as other visitors." "
"As someone who worked in social work for almost 40 years I understand and appreciate that in addition to services for children and families, our communities need to have places of beauty with opportunities for reflection, inspiration and learning. "